How Do I Get My Pilot Certificate? What Do I Have To Do For My Pilot Certificate? c. if holding a current PPL or higher licence, have completed such dual training as is deemed necessary by a CFI and, in any case shall have not less than 5 hours flying experience in an recreational / light sport aircraft which shall include a minimum of one hour solo. What is the difference - pilots certificate or pilots licence? A Recreational Pilot Certificate is issued by RA-Aus and allows you to fly two seat aircraft during daylight hours only up and up to a Maximum Take Off Weight of 600kg. A Recreational Pilot Licence is issued by CASA and allows you to fly aircraft in daylight hours only up to Maximum Take Off Weight of 1500kg. The cheapest and best way to obtain an RPL or PPL or CPL is to get an RA-Aus Recreational Pilot Certificate first! Why? Because the hours count towards an RPL & PPL & CPL . Learning to fly in a Recreational Aircraft is $100 to $150 per hour cheaper than leaning to fly in a GA aircraft. It's definitely the smarter way to get there! Can I Really Get My Pilot Certificate In 20 hours Of Training? The requirements listed are the absolute minimums required. Your Pilot Certificate is issued to you based on your competency. Some students learn quickly and some students learn more slowly. Your flying must be consistent and competent to attain your Pilot Certificate! Most students are unlikely to do this in 20 hours. Somewhere between 25 to 35 hours would be a more realistic expectation. Where Can I Fly Once I Have My Pilot Certificate? Once you have your Pilot Certificate, you can fly within a 25 nautical miles radius from the Airport you are taking off from, whilst also remaining ‘Outside of Controlled Airspace’ (OCTA). If you wish to fly further away from the Airport you will need a Cross Country Endorsement. What Is Required For A Cross Country Endorsement? d. Pass a navigation flight test in a two seat recreational / light sport aircraft with a Pilot Examiner or a CFI. Pilots holding a Private Pilot Licence, or higher licence, or other equivalent pilot qualifications recognised by the RA-Aus are deemed to meet this requirement. 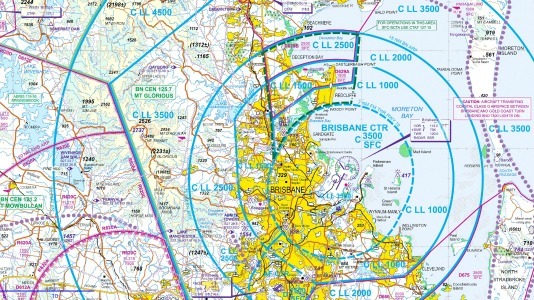 Once you have your Cross Country Endorsement you can fly virtually anywhere in Australia ‘Outside of Controlled Airspace’. That is a lot of space! And a whole lot of adventure flying! Fly to Uluru or circumnavigate Australia. Now that would be an Adventure Flight! When you have 10 hours of ‘In Command’ experience, you can also gain your Passenger Endorsement and take a friend to share in the excitement. How Often Should I Have A Flying Lesson? This depends on your time schedule and your budget. Ideally, once a week will allow you to progress forward and allow you to consolidate your learning. The further apart your lessons are, the more time you will spend revising the previous lesson. The younger students will find this less challenging. Some students do it in consecutive day ‘Chunks’ because of their work schedule. Whichever way you choose, being consistent will help you achieve your goal. Actual time spent in the aircraft will average 1.0 hour and occasionally up to 1.3 hours, depending on the lesson of the day. You will need to allow approximately 2 hours per lesson. This allows you time to check out the aircraft, participate in a pre-flight briefing, fly the aircraft, and do a de-brief after the flight. As you progress, there are 4 multiple choice knowledge tests you will need to pass. A Student Pilot Kit gives you the necessary books to gain the knowledge required. This contains the Flying Training Manual, Basic Aeronautical Knowledge, Flight Radio for Pilots, and a Pilot Log Book. Do You Want To Fly Now? You can start your flying lessons with a Free Temporary RA-Aus Membership that covers you for 3 hours flying or 30 days, whichever comes first. And that is easy, you just fill out an on-line form on the day of your first flight. This gives you the opportunity of going flying for a few lessons to see if you are enjoying it, before you commit to continue your lessons. The next step is to join RA-Aus. Membership includes the issue of the Student Pilot Certificate, 3rd party insurance cover, Operations Manual, Technical Manual, 12 months RA-Aus membership and 12 months on-line subscription to the monthly Recreational Aviation Australia journal, Sport Pilot. 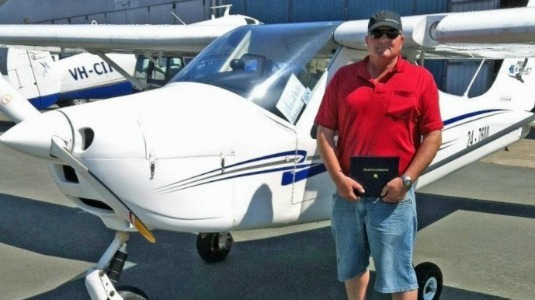 how do i obtain a Recreational Pilots licence? 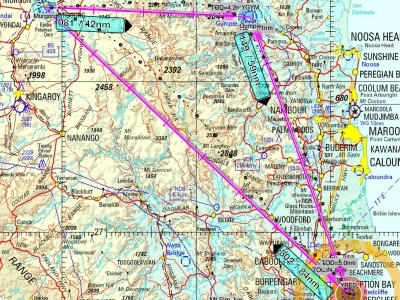 An RA-Aus Pilots Certificate is equivalent to a CASA issued Recreational Pilots Licence (RPL). To get your RPL you need to complete a CASA application form and follow the instructions on the format provide evidence of your pilot certificate, submit a recent photograph and provide appropriate proof of your identity. You also need to undertake a flight review before you can use your licence. Your new licence grants you the relevant category rating, aircraft class rating and design feature endorsements. You are also granted a recreational navigation endorsement if your pilot certificate authorises you to conduct cross-country flights and if you meet the minimum flight times.